Watch Bigg Boss Season 10 Promo Out Hd Video Salman Khan With aam aadmi This Season 2016 :- We were waiting for Bigg Boss for a long time and the wait is finally over now! 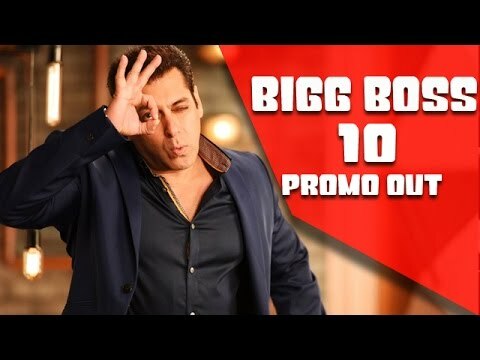 Here comes, the promo of Salman Khan’s Bigg Boss season 10. This season created a lot of buzz amongst all for having a different theme. As said this season will not have celebrities alike it’s last 9 seasons as this time, the show will deal with commoners. Yes, the janta who has enjoyed the last seasons crazily will get a chance to be Bigg Boss Vaasi and reside together under a roof. Salman Khan is at his quirkiest self-promising sight for being completely different and brings us a never seen before stuff. In the promo, He is an astronaut which gives us completely unique vibes. If we are guessing it right, then the house will be a space shuttle setup? If we recall about one of the seasons in which he played a pilot and the contestants were housed in an aeroplane shaped space. Seems like Salman is proving his words to be true. For the first time, Salman is promising history which indeed it. He also revealed the devoid of celebrities turns into only having common men and women in the season. The actor had once talked about the difficulties he will be facing as to deal with commoners. But for us, the season will be more interesting i.e. full of twists and turns. Bigg Boss reflects the current mindsets, in many ways. We are all getting excited for every upcoming day. Youths know how to stretch an argument like a rubber band and our relations are complicated nowadays. This is the time to have the season with the house for commoners. The show is produced by Endemol and airs on Colors as all the seasons before.